FROM EAST: Exit I-8 at Exit 12 and go North on S. Fortuna Ave. approx. 2 miles, then right on US-95. Follow US-95 approx. 10.5 miles and turn left onto the Imperial Dam Rd. (2 large cannons at this corner). -- FROM WEST: Exit I-8 at Exit 2 and go East on US-95 approx. 20.5 miles and turn left onto Imperial Dam Rd. (2 large cannons at this corner). -- BOTH: Follow Imperial Dam Rd. West (go past the gate with the Huey helicopter on display) approx. 5.5 miles and turn right into gate. Turn left at A Street, across from the gas station. You'll see the campground and signs a block down. 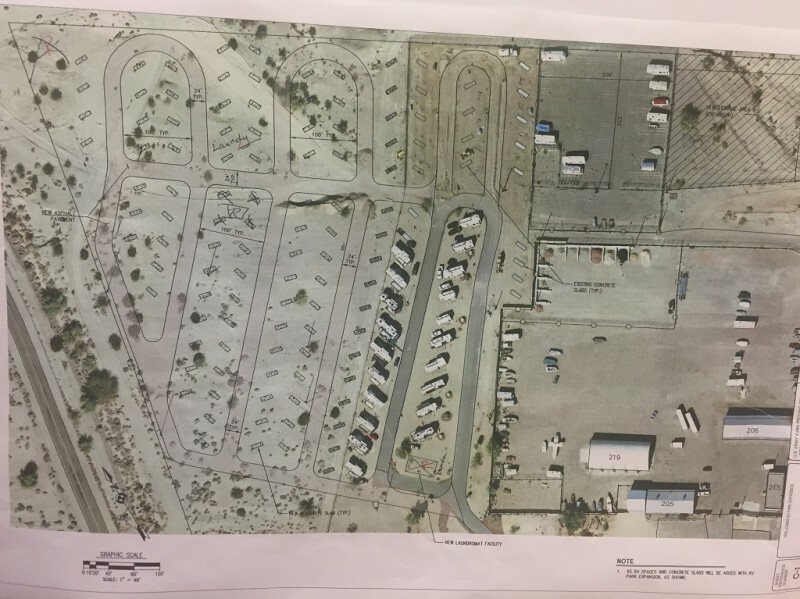 Pull into a marked RV parking lot on the right, which is next to the dump. 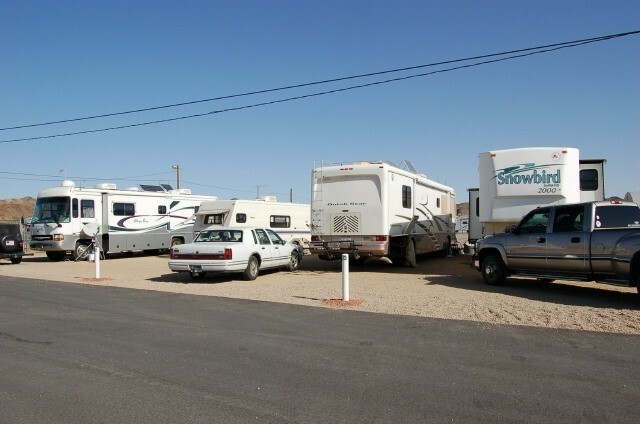 The campground office is across the street from the dump, but there's no room for an RV to park there. Office is open Mon - Fri, 0800-1700hrs. If arriving after hours, see the camp host, which the site # is marked on the office door. Reservations not accepted. However, you can "prepay" for a specific site for the months of September and October only. 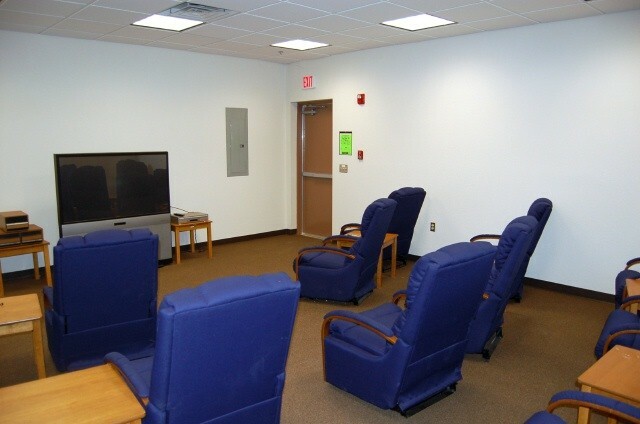 Free wi-fi, DSL connection, dial-up, and a computer to use is available in the new recreation room. Limit of 2 pets. There are restrictions on breeds of dogs. Call campground for details. Dump station near campground. 7 month stay limit, then out for at least 2 months before returning. Auto Center, Basketball, Bowling, Tennis, Arts & Crafts shops, Propane, Skate park, Horseshoes. 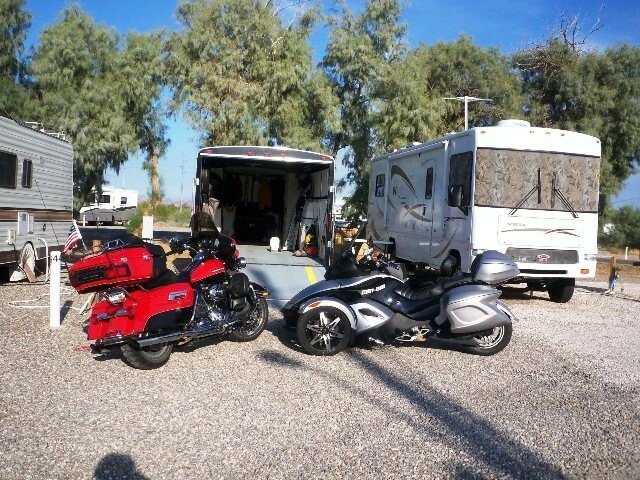 Stopped at Desert Breeze on our way south from Lake Havasu City en-route to Yuma and Algadonnes, Mexico. Teresa, the manager, was very welcoming and promptly checked us in on a Friday. Site was gravel with a small concrete pad. Friendly residents in the park. We participated in a pot-luck breakfast and everyone was welcoming and we had a very nice selection of breakfast items. Small commissary and exchange with gas station (no diesel). We enjoyed our stay and would return. We so enjoyed our stay at YPG. This was our first winter there and found everyone friendly and full of information of things to do and see. The staff was great, very friendly and helpful also. 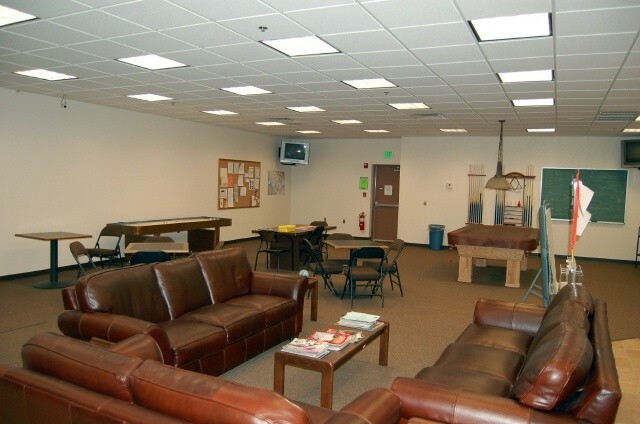 There is a very nice community room with a couple of pool tables, game tables (which a few of us used most every night) plus a TV room. 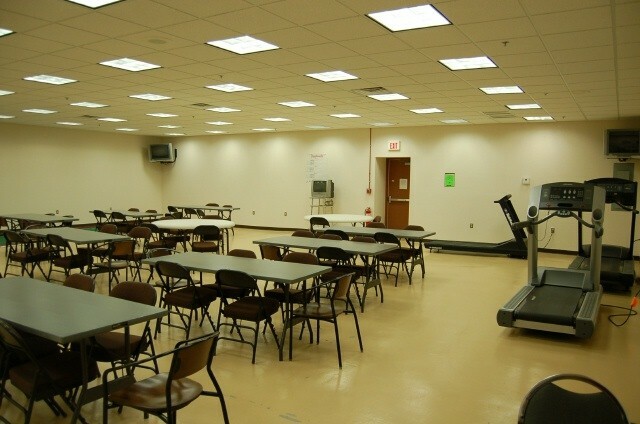 There is also a very nice gym, small commissary, bowling alley and a library. The sites are gravel with a cement pad patio. We would stay there again if in the area. The location is nice if you want to be out of the city and noise. The flip side is there aren't many services or things to do in the area. There is a small commissary, a shopette, and a great fitness center. The rates are very good for longer term stays, a little expensive day to day. The rates include cable tv, with an excellent selection of channels, BUT you have to install a box and run it out a window to the outside box. I was able to get to one TV doing this, but it took nearly twenty minutes to set up - useful if you are staying longer, but not worth the trouble for a short visit. They have big plastic connectors on the wires to the box that made it very difficult to install. There was no deposit required for the cable box as mentioned in an earlier review. The office is not staffed full-time, and you would be wise to call in advance and make sure there will be someone there when you arrive. Look for a sign to park in a parking lot across the street, and just before you get to the office. If you miss that lot, there's no place to park to register. The customer service is outstanding, friendly and helpful. Long term residents are also friendly (they are snowbirds, not homesteaders). Wifi is available throughout the campground, and it isn't fabulous, but its ok for light browsing. Sites are good-sized and almost level. This is a great place to camp. The weather is wonderful. The rest of the USA is buried under snow and ice and we are at a balmy 73 degrees. So glad that no reservations are accepted, because that means you get here and if a site is available, it is yours for up to 7 months. I would say that at the height of the season, it is about 90% full. Great amenities, great wifi reception. There is a small bowling alley and snack bar, a great gym, swimming pool (closed now), restaurant, library, convenience store and small commissary, all within walking distance. 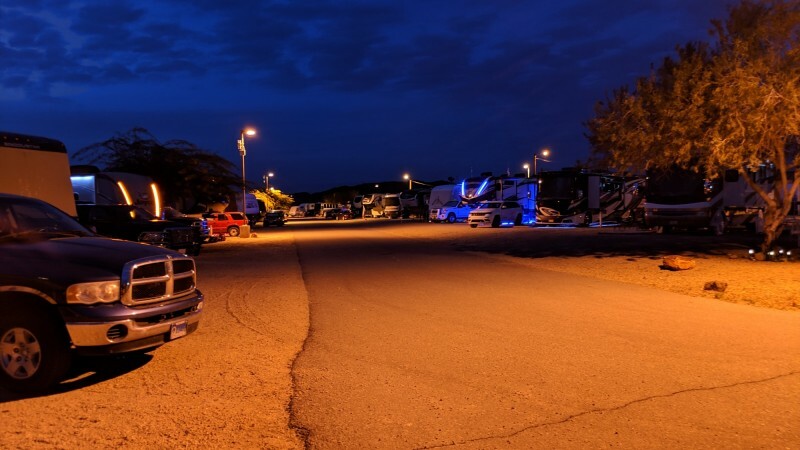 You are close to the Colorado River and small lakes for kayaking and just north of here is the marine recreation area and campground where boats can be rented. 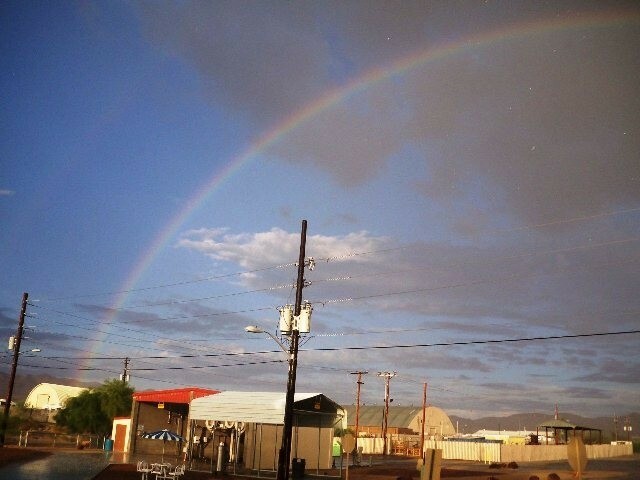 It is pretty close to Yuma for shopping and restaurants and about 30 miles from the border crossing if you want to go to Algodones, Mexico for cheap dental work. (Bring your passport). The people camped here are nice. They have a Saturday morning potlock at the community hall. 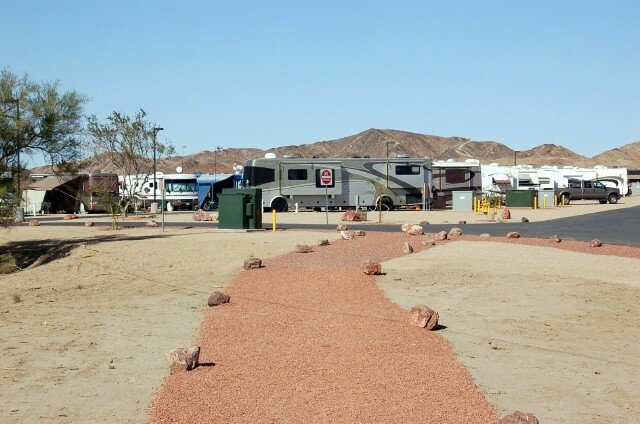 There is free ice and filtered water and a nice laundry facility exclusively for campers. Highly recommend this as a camping spot for full time RV-ers. We arrived at 1430 in the afternoon, no one in the office, just a sign saying "Running Errands". Went camp host, no one there, later she explained that he works elsewhere full time. The gal running the office finally showed at 1525. Said she was fixing. Dryer somewhere. Was going to get the cable box for $60 deposit until she handed me the application for renting the box, it was as long as a New Car contract. I said forget it. Asked if I wanted the WIFI code, I said sure, never did get it. Called back to the office and she was gone at 4pm, door says open till 1630. Door also says 1230-1330 is for running errands. Sorry never again. This place is a decent stay. Big, roomy sites with cement pads. There are NO picnic tables. 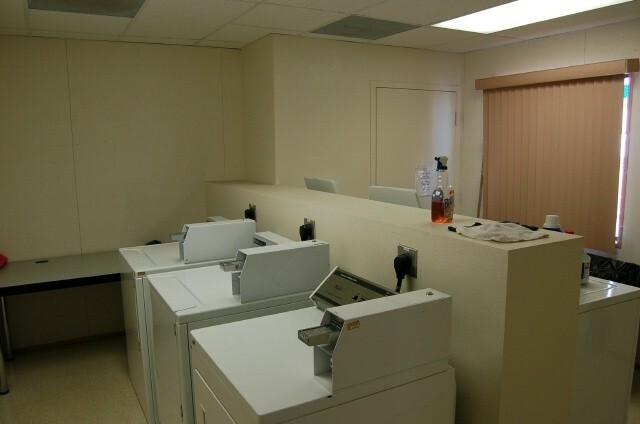 Laundry facilities are rather pricey and there is not "plenty" of them. There's been a few times where you have to wait because they're all being used. Not a big deal though. Rec room is clean, nicely kept. Mail delivery is awesome. UPS and FEDEX will both deliver right to your campsite. The commissary is very small and also rather pricey. It's also closed every Sunday and Monday. There is NO diesel, so be sure to fuel up in town. Which brings me to the biggest downfall, the base is 20 miles out of town, so that can be a bit of a pain. Another problem is the people who don't clean up after their dogs. Feces is fairly common. Some people allow their dogs to bark needlessly. There are rattlesnakes so be careful around trees and bushes. All in all its a good place to stay. We'd come back here again. Arrived late afternoon and promptly met by Camp Host, after we went around the block because we saw the “RVs Park Here” sign on the right side of the road across from the office too late. He took our basic information and settled us in. We had choice of several sites but since only staying a few nights opted for the electric and water only site ($20 per night). (Price does seem a bit high considering what the long term folks end up paying per night for full hook-ups.) Having said that will add that there is a nice large club house (pool tables, TV room, book swap library, computers & printer, exercise machines, etc. ), plenty of pay washers & dryers, and shower house. 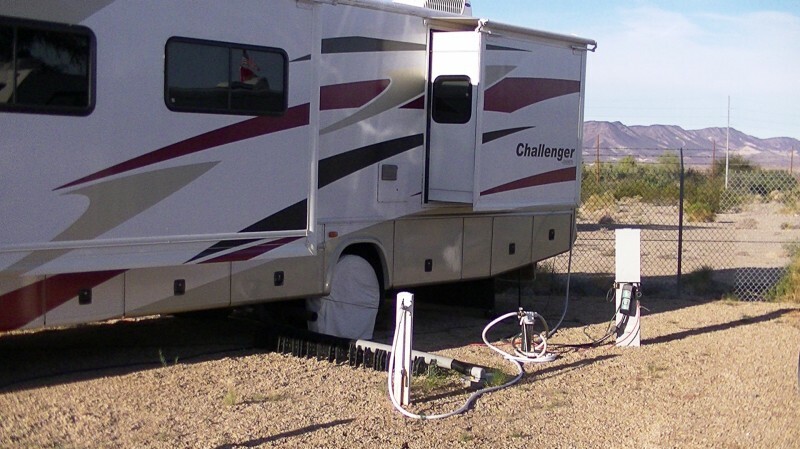 Also can get Wi-Fi in the RV. Staff was friendly and helpful. Commissary is small and Exchange is a small shopette affair. The cantonment area is quiet and appears sort of laid back. Other RVers gave a friendly wave or a good morning, good vibes from this place. 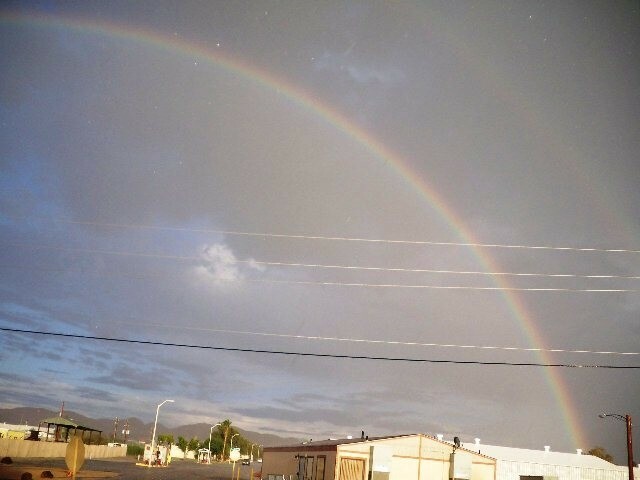 Is a distance out of Yuma but the drive is tolerable. If interested in history of the southwest, this is a must visit location. Nice place to stay. It's quite a ways out of town so be prepared to travel if you want to go anywhere off base. Everything was very clean and the lady running the office is super nice. Large sites, friendly with activities going on most every weekend. I'd stay here again. This is an awesome run facility. The Mgr is probably the best in the entire MWR system. If you go you will find clean facilities, friendly people and a true sense of community during the winter season. As far as HOMESTEADING? it doesn't exist, this is a winter haven for many and being remote in my opinion, requires the ability to stay for an extended time. I am willing to bet you CAN HAVE ANY SITE IN THE PARK FOR THE 4th of July holiday! The price/value is outstanding, the Wi-Fi is better than most places and the FREE cable tv is a real benefit. 30$ a day what! And they are homesteading too. Only 375 for a month. Should be 900$ a month. Oh but you can stay 7 months. WHAT!!!! It should be the same price for everyone. Are they discriminating against personnel trying to enjoy this travel camp for a couple of days. They must want personnel to live there. Don't care if your retired or active duty military or DOD. Its MWR.... (it should be) 30 days stay period. 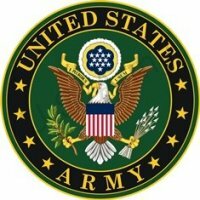 Military active duty only get 30 days leave. No personnel is suppose to live there. 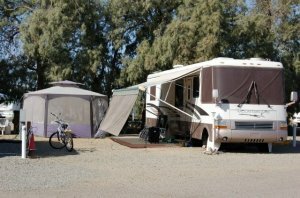 MWR should not let anyone stay more than 30 days at any RV Camp. Not fare for personnel who want to enjoy these places. If you like the way it is now, then have (10 of the best site) available too walk inns always open. 24/7/365. Oh and everyone pays the some price per night.!!!~!!!!!!!!!!!!!!! AprilWhine please verify that you have your facts correct before you make blanket comments such as this regarding occupied by civilian contractors working on base. 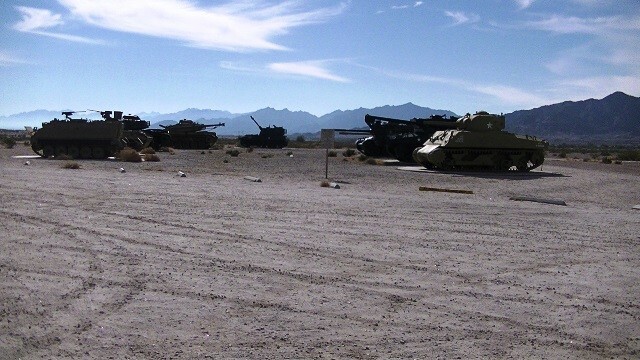 Four long-term slots are occupied by active duty military that are assigned to Yuma Proving Ground. Please correct me if I am wrong but they have priority on base. Five others are retired military. Two individuals work for the Army and three are working for contractors. All the long-term are either active duty or retired military and have the same rights as you regarding staying at the travel camp. I found the long-term residents rather pleasant. The active duty will receive a space before any retiree or DoD civilian. That is their right as was yours before you retired. I have stayed at the travel camp and it is still a peaceful quite place to visit. Stop whining if you don’t want to share the travel camp with active duty military. Don’t stay there! Find somewhere else to stay. 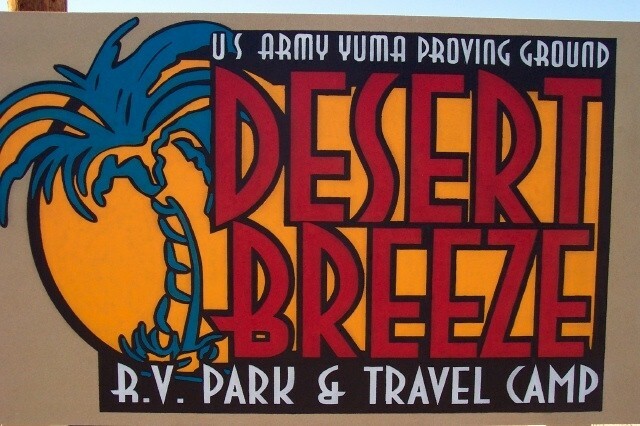 You will not find anything in the Yuma area as reasonable as Desert Breeze. 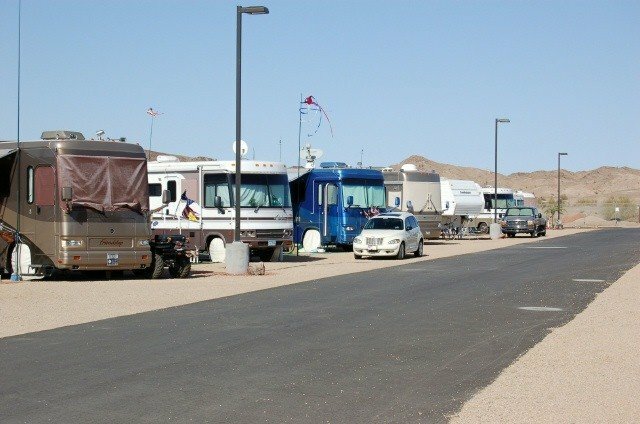 Desert Breeze was a wonderful campground but this time I can see the beginning of it's downhill slide. One row of the campground has now been given over to long term renters, trailers occupied by civilian contractors working on base. Probably won't be long until this "recreational facility" will be entirely occupied by homesteaders. Too bad! We had a short stay here for a week. It was a great experience. It is a bit out of the way but it is nice and quiet. The host and staff were very helpful. Everyone in the park was friendly. The WiFi worked very well. They have a gob of washers and dryers. A great benefit here is the discount for staying a week, or month instead of just having a daily rate. More Fam Camps need to do that. We look forward to returning in the future. Stayed two weeks & will return. Host is very friendly & seems to enjoy her job. Spaces are good size,rec. room large laundry/rest rooms/shower area decent and everything clean. 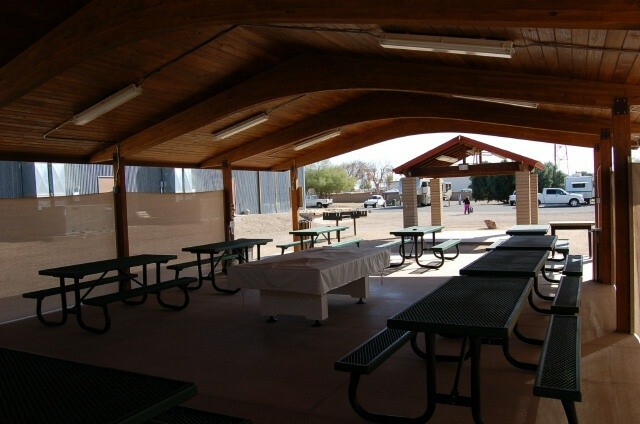 Located about 20-30 min to down town Yuma & a short drive to the river. Great Reviews but RUDE host on Hot Sunday evening. Beware, and be prepared. We tried to get information and all we could get was the campground is closed and no Dry Camping for the night. They said drive down the road and dry Camp in desert which was not pleasant answer. No guidance whatsoever were to go and we tried to get answers. So, if this happens to you. Drive further down the road and dry camp at the Imperial Dam road (turn right) to BLM Land. Keep on paved part almost to end and turn left and you will see register station, etc. If not sure ask anyone. These are boon doggers and all will help you out. Not like the sour puss base host at Yuma Proving Ground. This is a great secret run by BLM with water, waste and dumps. Also bathrooms and quarter shower which are clean. Cost is $40 for 14 days and what a steal. You are within 15 minute drive to Post for logistics. 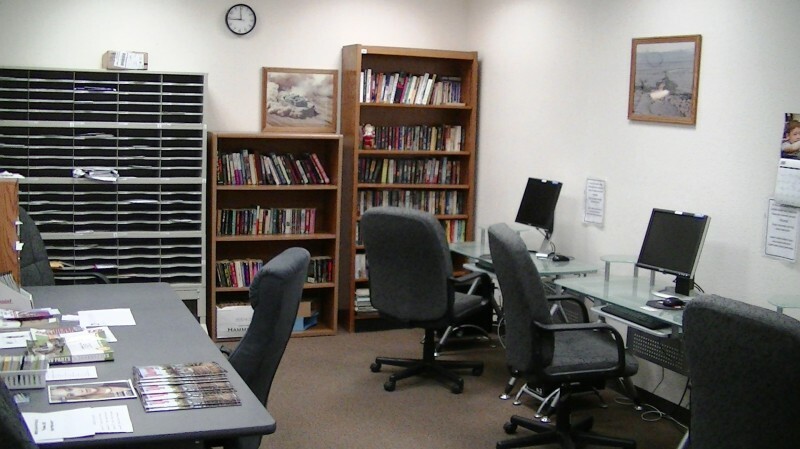 The Post has outstanding facilities, small but good. Also Post has big rig propane but not Diesel. The do have RV wash and Car wash along with Laundry Mat behind gas station. Recommend BLM dry camping and we stayed 17 days, got new glasses full exam $95 and two crowns $300 across border in Mexico. Ask the boon doggers at the BLM where to go? Also, if you are not into dry camping and need that power. Still head down the road past the Imperial Dam turn off and you will see several places along the road within 20 miles, which have power and maybe full hook ups. One is at another Laguna Dam and you cannot miss it which is about 10 miles beyond the Imperial Dam turn off. R.B. left this review using the Directory software: - Sites are level, graveled with cement pads on the side. Nicely maintained. Multi-purpose room has computers, wi-fi, television, pool tables, very large lounge areas. Laundry room/showers clean. Base has a fitness center, bowling alley, swimming pool, various cafes. The only empty sites when we were there were the designated "weekly" sites. There were two pull-through sites with no sewer, so I suppose those are for over-nighters. The YPG Heritage Center was closed for the holiday. YPG is 20 miles from Yuma, off Highway 95. The "commute" is worth it for the value and comfort of staying at this camp. Sites are level, graveled with cement pads on the side. Nicely maintained. Multi-purpose room has computers, wi-fi, television, pool tables, very large lounge areas. Laundry room/showers clean. Base has a fitness center, bowling alley, swimming pool, various cafes. The only empty sites when we were there were the designated "weekly" sites. The YPG Heritage Center was closed for the holiday. YPG is 20 miles from Yuma off Highway 95. The "commute" is worth it for the value and comfort of staying at this camp. 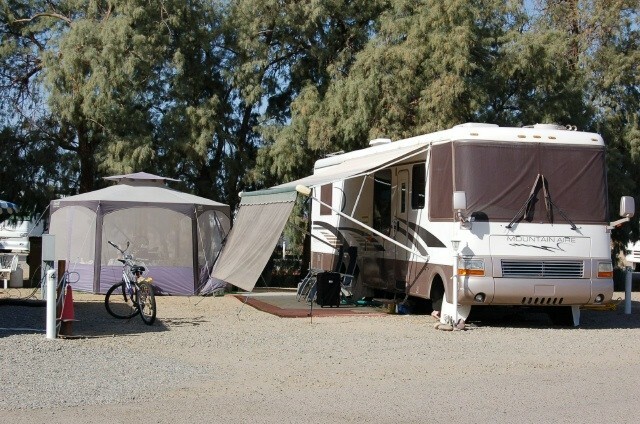 Have been here little over a week now and we are pleased with the campground and the office personnel. 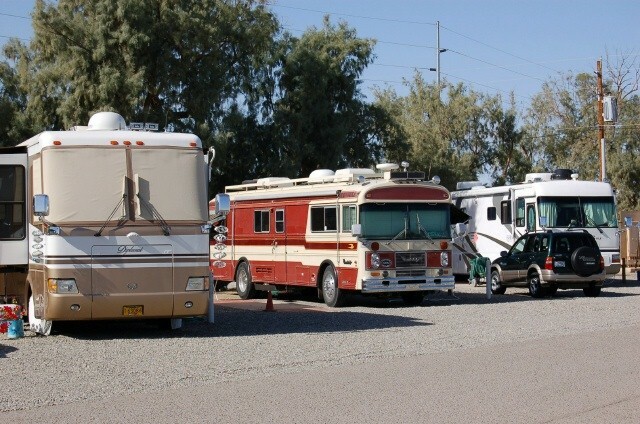 The Army here still require vehicle registration for the motor home and tow vehicle, but have had 100% ID checks each time we come on base. Monthly price has raised from $325 to $340, but I still think you can't beat the price. Some people have complained that it is so far away from Yuma, but 20 minutes or so doesn't seem that long to me. Easy in and out for any size rig at the AAFES gas station/shoppette about 4 blocks away and same thing for LP. 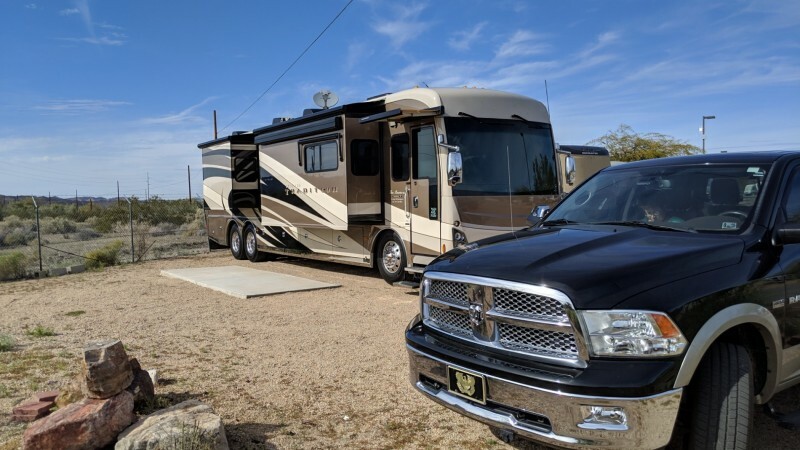 Am staying in a 36 foot motor home, pulling a Chevy Colorado and would definitely stay here again.